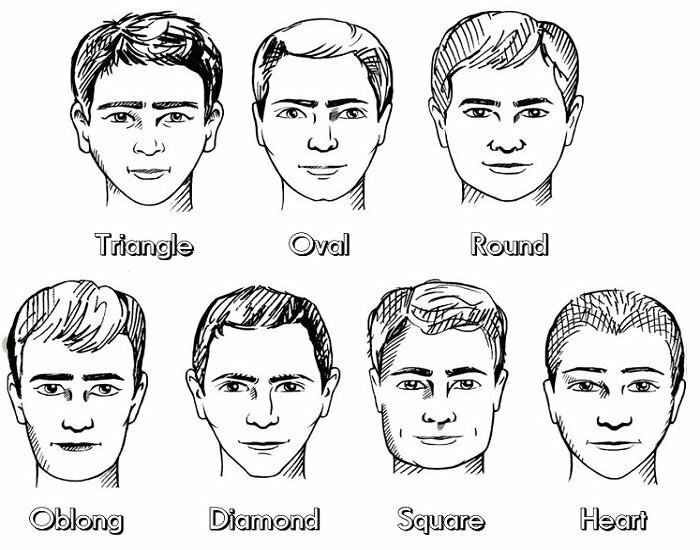 There are different male face shapes and the hairstyles I would recommend will depend on whether you have a full head of hair, for those with receding hairlines or hair loss on the crown should understand that trying to compensate by growing hair long at the back, or attempting to comb long side strands over the balding spot, will never be considered a good look. The best rule is, the less natural hair, the shorter the style should be. Spectacles – suits most shapes proportionate to face size. Hair – add height to hair at crown, long layers, avoid fullness on sides and around ears. Hair – full or ½ fringe to shorten face, Avoid any added height. Specs – square or wide rectangular.